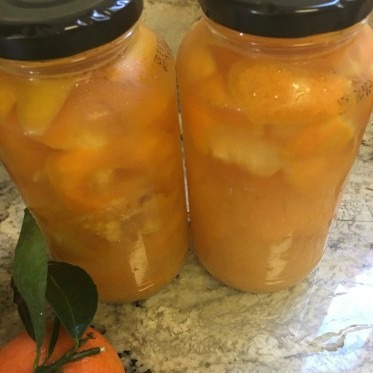 Last week, my blogging friend, David from Cocoa and Lavender, shared his most recent post, Mandarinello, a mandarin orange version of limoncello that he first sampled in Italy. 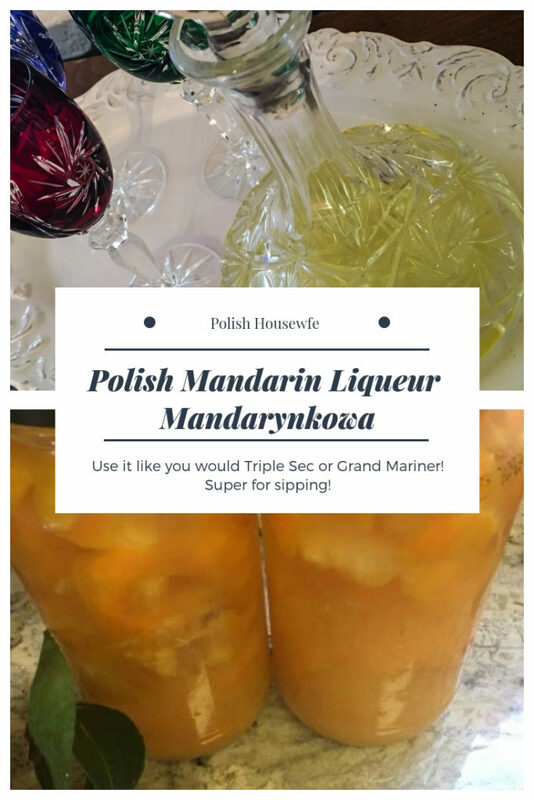 The beautiful orange color of David’s liqueur and the young clementine tree in our garden sent me to Wielka Księga Nalewek (The Big Book of Tinctures) and google translate to make my own Mandarynkowa a clementine liqueur. I’ve known of Mandarin Oranges all of my life. They were tiny orange sections and came in a can. People put them in fruit salads. Tangerines were what I used to get in my Christmas stocking as a child. More recently, clementines have appeared in the markets. Come to find out, they are all related. Mandarin is a class of orange that is flatter at the top and bottom, easy to peel, and tangerines and the seedless clementines are both varietals of mandarins. So my clementine liqueur can rightly be called Mandarynkowa. There is nothing finer than the Polish pastime of making tinctures. All over the country, whatever fruit is in season is being steeped in vodka or something stronger with a little sugar. 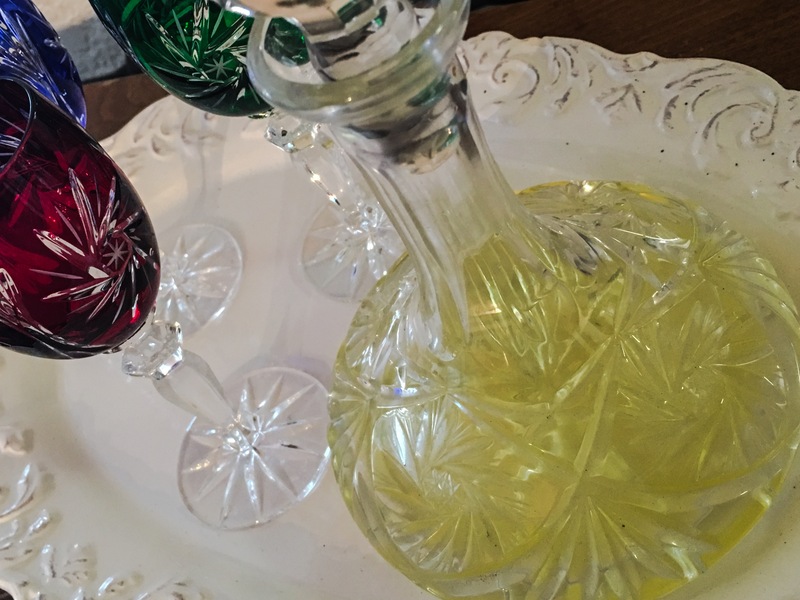 Time magically transforms the liquid, pulling the color and flavor from the fruit into smooth, jewel toned liqueurs. We’re finishing off wisniowka, a cherry liqueur that I made two summers ago. It is the perfect end to the evening to pull a bottle out of the fridge and toast our friends around the table. An afternoon of prep work offers big rewards. I’m sure we’ll sample our clementine liqueur at various stages, but I’ve found these things do improve with age. 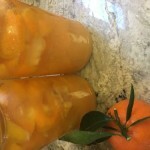 I used a combination of fruit from our tree and a bag of purchased clementines. The links below are from an affiliate program which means that if you make a purchase, Amazon sends me a few cents. What a difference seating the two! Our clementines have a thick peel and fragrant zest. 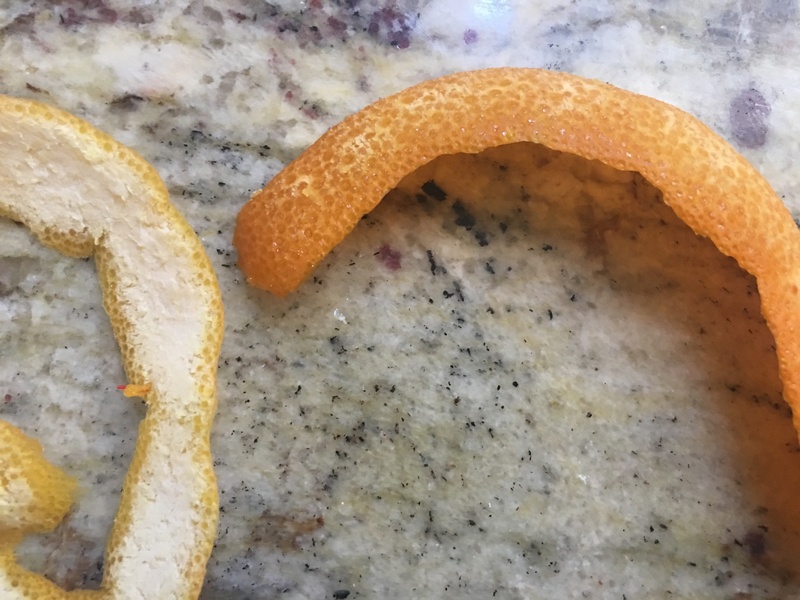 The purchased ones, not being as fresh, had a very thin peel. It was almost impossible to peel off the zest without getting some of the white pith. I worry that this will make this batch a little bitter. I think next year, we’ll peel off the zest as we’re eating them and freeze the zest until we have enough to steep. Since I made my clementine liqueur with vodka, which is not as strong as spyritus, I’m adding sugar and honey directly to the mix rather than making a simple syrup. I don’t want to further dilute my liqueur. 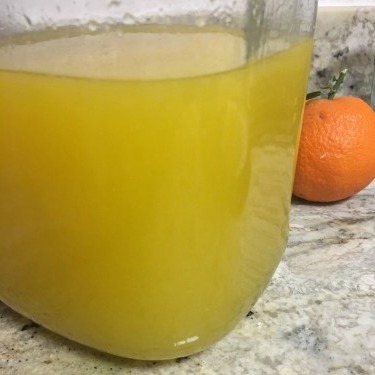 Here’s my version of Mandarynkowa, a clementine liqueur, from The Big Book of Tinctures, which I’m sure we’ll sip after dinner and probably use in mixed drinks as we would Triple Sec or Grand Marnier. After two weeks, this is all that remains. It’s fabulous! Seal and store for two to three months before serving. If a sediment collects on the bottom, decant into another container or strain through a coffee filter. Some people like to also add the juice of the mandarins, but the finished product is not as clear, so I’ve skipped that step. I’m going to make this. I really enjoyed your recipe for cherry liqueur, and this sounds just as good. It’s fun to make your own! How wonderful, Lois! And, by coincidence, my cherry liqueur is ready this week! Great minds, eh? Merry Christmas to you, and all the best fit 2017! PS – thanks for the lovely shout out! I think we need to meet for coffee soon. It’s so sad that you are less than 3 miles away for me, and we’ve never met! Lovely idea, David! A must-do for 2017! ♡ your recipes so very much! Thank you so very much for sharing. My pleasure, Julie! Thanks for your comment! What is Spiritus?…Is it like a Vodka? It’s a vodka that is almost pure alcohol, 96% or 192 proof. Having never made tinctures before, this seems puzzling. Why so many strainings? Isn’t all the zest removed from the first? Is the fruit itself not used, just the zest? Why so long after bottling does it have to sit? All this seems rather random and arbitrary, but I assume there is some reasoning behind it. Hi Richard, the first time I wrote about this, I used the juice as well as the zest. I think that’s what led to multiple straining. The zest was removed first and later all of the finer bits from the juice that took a great deal of time to settle. Since then, I’ve gone to just using the zest because I liked a more clear finished product. I’ve tried to improve the process description to be more accurate now.